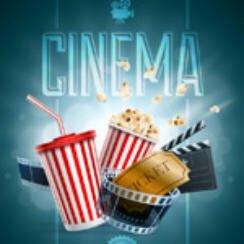 Popcorn Cinema Show takes a look at the movies released this week (14 August 2015) for the UK, US, Australia and New Zealand at the cinema, plus all the weeks main film news. Guy Ritchie’s The Man From U.N.C.L.E is one UK release this week. Columbia Pictures Pixels Taken Out??? So several sources, including The Independent.co.uk have reported that Columbia Pictures have hired an anti-piracy company to remove videos containing the world “Pixels” from Vimeo in order to protect their new film starring Adam Sandler, Pixels. However perfectly legitiamate videos have been taken down including the official Pixels film trailer. Leonardo DiCaprio To Team-up with Scoresese? The film “The Devil in the White City” will see Martin Scorsese and Leonardo DiCaprio team up once again. DiCaprio looks set to play serial killer Dr HH Holmes, who murdered hundreds of people at the World’s Fair Hotel in Chicago. This film is based on the 1960s tv series of the same name. Two agents from the CIA & KGB, Napoleon Solo & Illya Kuryakin (Henry Cavill & Armie Hammer) have to work together upon discovering an international criminal organisation have built their own atomic bomb. Aliens misinterpret video feeds of classic arcade games as a declaration of war, so they attack Earth in the form of video game characters such as Pacman. Growing up Amy was repeatly told by her father that monogamy was never possible, now she has become a commitment-phobic career woman. However all this about to be tested when she meets a good guy. Neil Clarke (Simon Pegg) wakes up to discover he has the ability to do anything he wants. So how will he use thi new ability? Well to spy on his next door neighbour and give his dog the ability to talk. This is the story of the group N.W.A, it’s members and their relationships. Following the bands formation to it’s meteoric rise through until their demise. Quentin and his neighbour Margo, who loved mysteries so much that she became one. After taking him on a all-night adventure through their hometown, Margo suddenly disappears leaving behind a series of cryptic clues for Quentin to decipher. The search leads Quentin and his friends on an exhilarating adventure. So there are your movie releases this week, we would say the film that may be of interest is The Man From U.N.C.L.E directed by Guy Ritchie.